Twitter is a powerful, often neglected, tool for growing email marketing lists. 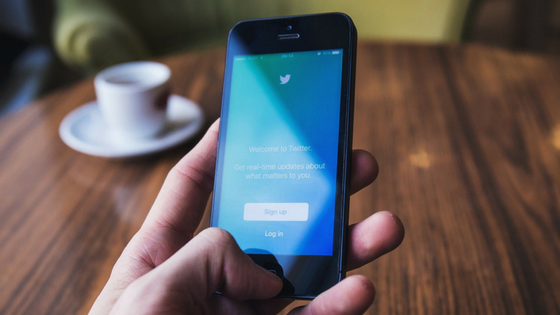 In fact, by using your business’s Twitter account in strategic ways, you can reach new customers and engage your regular customers in new ways. After all, almost half of all Twitter users follow businesses in addition to people they know and celebrities, and it would be a shame not to try to communicate with them. First, include in your Twitter bio a direct link to the landing page where people can enter their personal information and join your marketing list. Next, resolve to tweet regularly, at least a couple times daily. You’ll lose followers if your Twitter profile is a virtual ghost town. Also, if you don’t have one already, get a Twitter app for your smartphone, as it makes tweeting throughout the day easier. You can use tweets to guide people to any place on the web where you’ve posted content. For instance, if you’re offering a new coupon or you’ve added a new feature to your business’s website, tell your Twitter followers about it and include a link. Once they’re on your website, they might take the time to join your marketing list there. The same goes for your blog, for any new edition of your newsletter, and for your other social media pages. (A “Subscribe” button should be prominently on display at all these places.) In addition, all of your web, blog and other Internet pages should include easy-to-find “Click to Tweet” buttons, so that people who like what they’re seeing can share those pages with their own Twitter followers, and in the process provide you some free advertising! The trick in all this is to give your followers high-quality tweets. Never spam. Instead, offer variety. Some of your tweets should be focused on your services, products and upcoming discounts, but other tweets should be about making your customers feel like they know you as a human being. To that end, adorable photos of your children, or fun photos of your employees playing basketball together after work, can make for compelling tweets. Funny quips are always appreciated, too. One trick is to write down the humorous and clever things which you or your employees happen to say during the day. Then, when you get a chance, turn those notes into tweets! Even when your tweets are focused on matters of business, make them intriguing. Don’t just announce, for example, that you’ve written a new blog post. Rather, make that blog post sound exciting. Specify why someone should read it. Does it contain information that’s relevant to their lives? Does it offer a discount which isn’t available anywhere else? Your tweet might even include an especially provocative quote from that post. Becoming a Twitter master takes time. So practice the art of the tweet. Obviously, each tweet is limited to 140 characters. At the same time, you must make all your tweets clear, easy to comprehend at first glimpse. That means you should avoid odd syntax, unusual abbreviations, nonstandard spellings and the like. You might take time, too, to type out a certain tweet on a word processor in different ways, and then select the version of that tweet that’s the easiest to understand, and/or the one that just seems the most appealing. And if, over time, you feel you’re just not that comfortable in the Twitterverse, assign an employee who’s especially adept at social media to do all your business’s tweeting. Consider including promoted tweets in your advertising budget as well. These tweets will allow you to target your audience. For instance, you might choose to target college students living in the vicinity of your business. Those people will then see your tweets even if they don’t follow you, even if they’ve never heard of you! And if they’re interested in what you’re tweeting, in short order you very well may find their names on your marketing list. Concentrate not just on promotion, but on establishing relationships with both potential customers and with your regulars. Retweet your followers’ tweets, especially praise from satisfied customers. Thank people who’ve been particularly loyal to your business over the years. Respond to comments, even negative comments, that people make about your brand. You might be surprised how often a simple, respectful follow-up can immediately turn a critic into a fan. And if you’re planning on introducing a new product or service, ask your Twitter followers their opinion on it. This will not only help spread awareness about your business, but will also demonstrate that you value what your customers think.